(CNS): Despite what may appear to be a declining quality of life for many people in Cayman over the last few years, figures released by the Economics and Statistics Offices revealed that Caymanians are one of the longest lived groups of people in the world. With an average life expectancy of 82.3 years for both sexes, baby boys born today can expect to live to almost 80 years old while girls almost 85 years old. The longevity of the population is down to a number of factors, including quality health care but also a high standard of living. However, given the well documented problems facing Cayman’s private sector as well as public sector pensions, long post retirement life may present a significant problem for future governments. The 2013 Compendium of Statistics released by the Economics and Statistics Office shows last month shows that men in Cayman are now are expected to live 79.8 years and females 84.7 years. According to a World Health Organization, the highest life expectancy for a country as of 2013 was Monaco, where people on average can expect to live until they are 87.2 years – women there can expect to live to 89 years old and men more than 85. Using the WHO figures, Cayman is ranked 14th on a par with France from the 222 nations ranked. Cayman outstrips all its Caribbean neighbours as well as the USA, which is ranked 34th with an average expectation of 79.8 years, as well as the United Kingdom, which is down in 28th place with an expected life span of 79.5 for men and 82.5 for women. However, while Caymanians may have a long life to look forward to, the quality of that life will be in question for those that don’t have adequate pension provision. 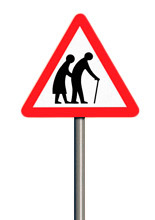 Given the continued concern about the failure of employers to comply with the pension laws, the government’s own mounting pension liability for civil servants and no legislation in sight to address the shortcomings in the local pension regime, a lengthy old age, while still preferable to the alternative, may be far from fun. 12:39 – Miserable posts indeed. Clearly reflecting the misery that people at large are feeling! Duh!! Chalk another point on the board as to why Cayman is officially a great place to live. Any wonder so many are flocking to these shores? Nevertheless, this particular thread is strangely quiet … hmmm. 11.06 you are correct. However 60 year only gives you a shorter term to meet a mortgage payment which would be higher and with everything being so expensive, you really don't have any left at the end of the month. If you have the additional 5 or 10 year extension then any sensible person would take the difference of their mortgage payment and start to put aside say from age 30? It just goes to show that CNS readers can take the most positive story and turn it into something negative. What a miserable lot those of you who have posted are. Complete nonsense, it is due to people who eat real food as opposed to processed food. "Despite what may appear to be a declining quality of life for many people in Cayman". What this article shows is that these appearances are deceptive and people are just moaning about modest reductions in disposable incomes from the unrealisitc highs of an economic bubble. Wow, what a future I can look forward to! Living longer in a society which is going downhill fast with corruption and crime, while I have no health insurance after working in the public service for more than half my life and my pension is being gobbled up by increasing costs of living, created primarily by increased public sector bureaucracy and waste!! Welcome to Cayman of the millenium!! Thank you greedy and disconnected politicians!!! Did'nt you try to save something for the golden years? If you don;t want to live long you don't have to you know. Not for long. The dump is slowly killing us all and Bodden Towners are responsible for letting it happen. No more garbage from Bodden Town must be allowed to enter our modern Capital! It is the same on Cayman Brac only, maybe, worse because it is a smaller island and the dump takes up a good percentage of it! This is why the retirement should be amended to age 65. Politicians have nothing to worry about – they set for their lives. Medical and pension all covered! If you genuinely beleive that there are unemployed Caymanians now, you should stop and think for a minute about how that would affect those figures, for what they are worth. There are not a finite number of jobs. Changing the retirement to age 65 will only help you if you have many years left to work and willing to save some of your salary. If you are nearing 60 years the extra five will be of very little help. People out there must realise that if you are in a job, have been in a job for most of your adult life and you did not choose to save something it is your own faults. You all need to take personal responsiblity and while you are at it and if you have children please encourage them to do the same. Five years is another 10 percent of the average person's working life. For most people that is 5 years when the children are grown up and paying their own way, the mortgage is paid off, as are the car loans and all that stuff and your earning power is at its peak – that's when people get to save the most! On top of that, any savings that you have also get to grow for a further 5 years of compound interest. For most people it means the difference between anindifferent retirement pension and something that you can live oncomfortably. Most of Europe is starting to push the state retirement age up from 65 towards 70, because people are now healthier at 70 than they were at 50 at the start of the 20th Century. If you don't belong to one of the gangs, or you haven't dated that one particular girl, you need to save enough money to keep you going into your 90's.